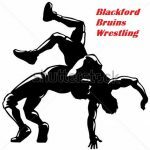 Coach Greg Garringer’s Bruin wrestling team traveled to Maconaquah and finished 7th in a very good event. Coach Garringer shared, “The overall effort was very solid against a strong field of teams. I thought Matura, Elam, Goodson, an Baronick wrestled exceptionally well.” Team Scores: 1. 218,West Lafayette 2. 208, Maconaquah 3. 198, Mt Vernon 4.